Did you know that inflammation plays a pivotal role in 7 of the 10 leading health conditions that cause death? That’s right; inflammation that we often take lightly considering it to be a normal response of the body to protect us from foreign bodies like viruses, fungi and bacteria, can actually cut off years from your life. If left unaddressed, long-term chronic inflammation can be devastating to your health, putting you at risk for cardiac diseases, obesity, Type 2 diabetes, IBS, autoimmune and immune-mediated conditions, cancer and increases your chances of early death. Food Allergies – Continually eating foods that you have sensitivities or allergies to can create a level of chronic inflammation and a whole list of symptoms and conditions such as IBS, IBD, Crohn’s disease, and can contribute to arthritis and chronic joint and back pain and can increase allergy responses to environmental allergens. Leaky gut—Many times, it’s the gut where the problem begins. A diet rich in sugary delights and whole grains, as well as medicines like steroids or antibiotics, all can increase intestinal permeability. This causes inflammation in the gut as toxins and waste leak into the body through the intestine in the bloodstream. Nutritional Deficiencies —Studies show that both excesses and deficiencies in micronutrients like folate, vitamin B6 and B12, vitamin C, Vitamin D, zinc, vitamin E, and/or magnesium can result in inflammatory responses. Insulin sensitivity—Insulin resistance is said to lay the foundation for practically all chronic illnesses because it promotes inflammation and quickens the aging process of the body. Other reasons for chronic inflammation are a malfunctioning or over-reactive immune system. What’s important to understand here is that when chronic inflammation is hard to immediately diagnose as it has no symptoms, and you realize that you have it when you experience a loss of function. And this is exactly why it is known as systemic and low-grade. It silently damages the tissues in the body and we realize about it when we are diagnosed with a life-threatening disease. Why Follow an Anti-inflammatory Diet? Eliminate refined sugar, processed fructose and whole grains. Avoid Dairy – it’s the most allergenic of foods and contributes to mucous formation and other inflammatory cells. Avoid oxidized cholesterol and vegetable oil that degrade into toxic oxidation when heated. They are highly inflammatory. These are your hydrogenated vegetable oils. Say no to trans fats and food sources that are made with synthetic chemical additives like stabilizers, flavoring colors and preservatives. Include animal-based omega 3 fats in your diet as they help fight inflammation and oxidative stress. 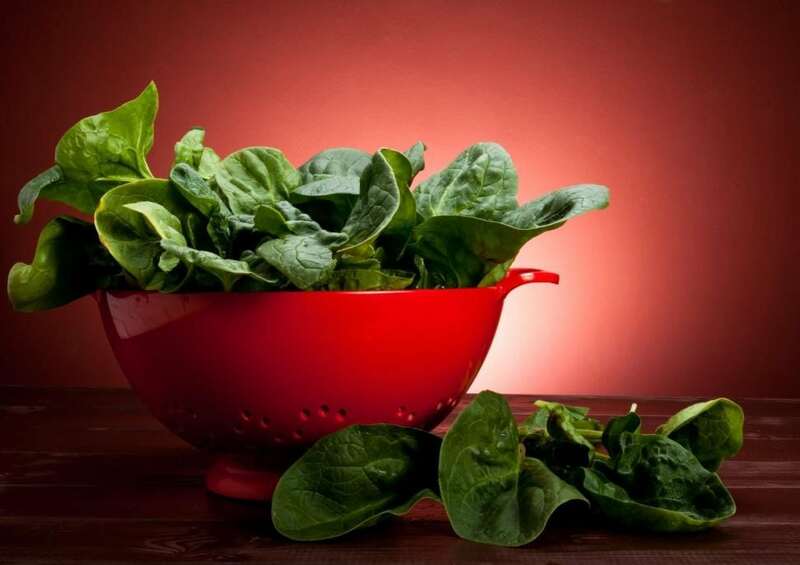 Eat more leafy green vegetables like spinach and Swiss chard. These contain flavonoids, folate, vitamin C and antioxidants that protect against cellular damage. Opt for fermented foods and vegetables as they support the functioning of the immune system and ward off chronic inflammation. Furthermore, it also helps the body to get rid of harmful toxins like pesticides and heavy metals that promote inflammation. Make sure to enrich your diet with Vitamin C, garlic, herbs and spices as they are most potent anti- inflammatory sources. As Vitamin C acts as an anti-inflammatory agent, it helps keep CRP (C-Reactive Protein) low in the blood. CRP is basically a strong inflammatory biomarker that doctors use to determine the risk of cardiac problems and diseases. Moreover, the antioxidant properties of vitamin C help the immune system to lower inflammation levels in the body by quickly warding off DNA-damaging free radicals. Include fish, meat, eggs and poultry in your diet as they are rich sources for vitamin B6 and 12. Drink plenty of water to help flush metabolites and improve sluggish blood flow and digestion. Believe it or not, drinking more water can help reduce water retention. To learn more about how to incorporate a healthy ketogenic andanti-inflammatory diet into your life, get in touch with me.